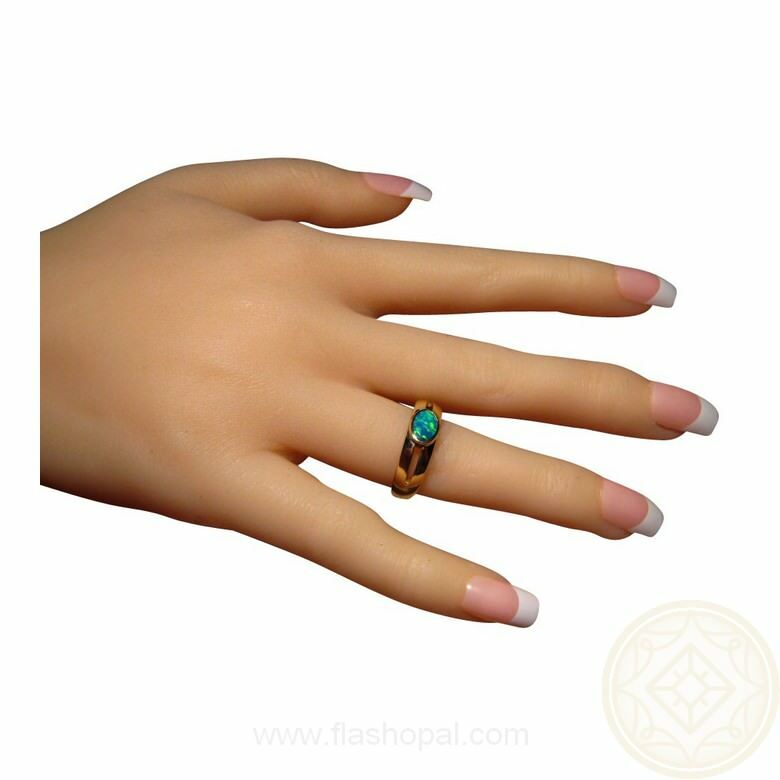 A Black Opal ring in a simple stylish 14k Gold suitable to wear by men or women. A Black Opal ring that is simple yet stylish and both men or women can wear. 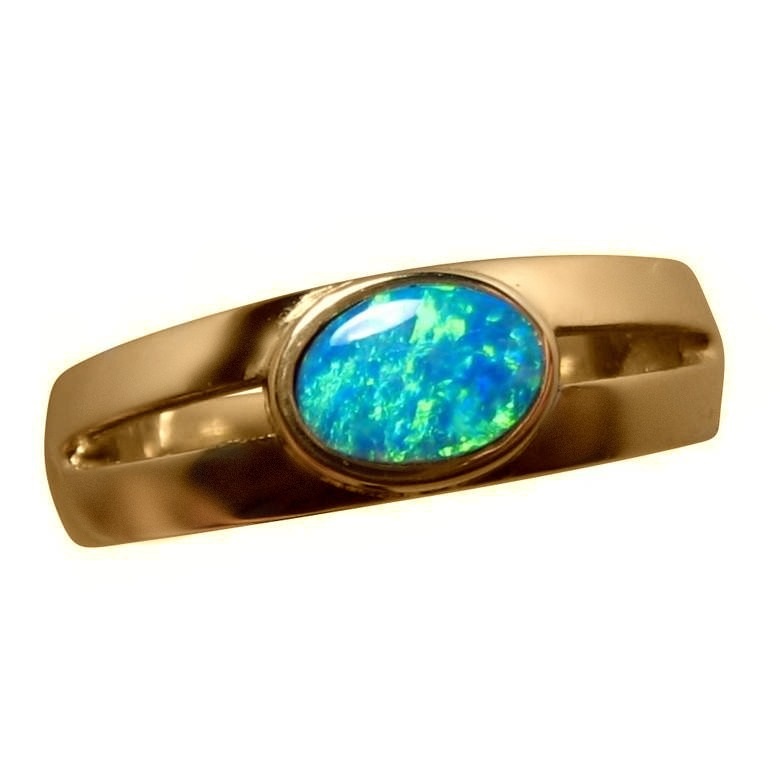 An oval Lightning Ridge Black Opal is set long ways on a band of 14k Gold which is shown in Yellow Gold but it can be made in White or Rose Gold and your ring size as the Opal is not yet set. One stand out bright color of Green in a floral pattern covers the stone and although not a flashy colorful Opal, it has a rich deep look. The last photo shows the side of the ring and although the stone looks crooked, it is because the Opal is yet to be set securely allowing you to choose your ring size and gold color. It is ready to ship as advertised or will take 7-10 days for a different ring Size and Gold color.